Van Kempen introduces a contemporary and striking silhouette. 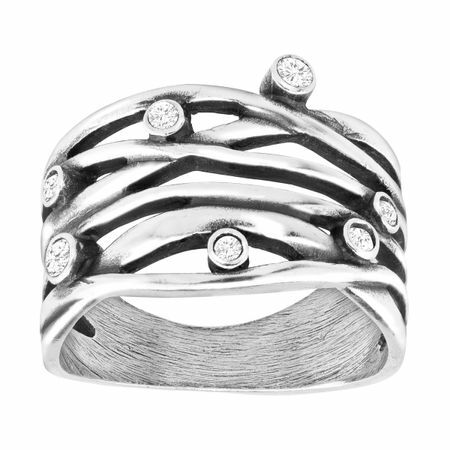 Woven bands of polished sterling silver are tastefully strewn with satellites of Swarovski crystals in this unique, eye-catching ring. Ring face measures 1/2 inches in width.